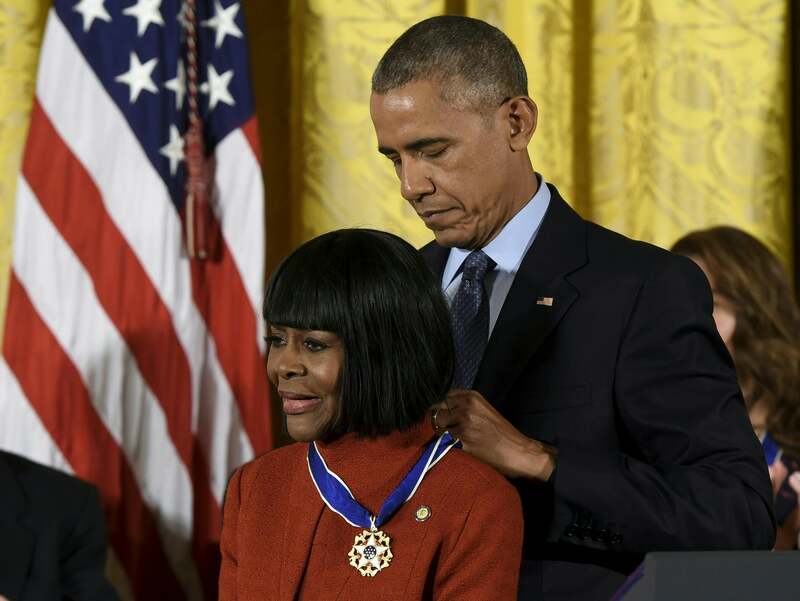 Before Cicely Tyson enters the East Room of The White House, the audience teems with excitement of the extraordinary people in their midst. She’s the last honoree who walks in as the recipients for the 2016 Presidential Medal of Freedom are announced alphabetically. The audience, which includes such dignitaries as former attorney general Eric Holder and his successor Loretta Lynch, secretary of state John Kerry, as well as Ms. Tyson’s own guests Tyler Perry and designer B. Michael, tower over the petite powerhouse as she takes her seat next to Bruce Springsteen and Diana Ross. The room is, shall we say, lit. Then he went off script and said with a look of a grown man finally in the presence of a childhood crush, “And she’s just gorgeous.” The room agreed as Ms. Tyson blushed like a schoolgirl. Subscribe to our daily newsletter for the latest in hair, beauty, style and celebrity news. With a career spanning 56 years, Ms. Tyson has won three Emmys, several NAACP awards and an Oscar nomination, as well as a Kennedy Center honor in 2015. In her late 80s, when most actresses retreat from the spotlight, Ms. Tyson walked onto two Broadway stages: The Trip to Bountiful in 2013 and The Gin Game in 2015. For The Trip to Bountiful, she won her first Tony Award at age 88. Now, at age 91, the first African-American president is honoring her at The White House in front of her family and friends. With Ms. Tyson’s track record, she’s hardly done breaking barriers. She is one of the great ones.